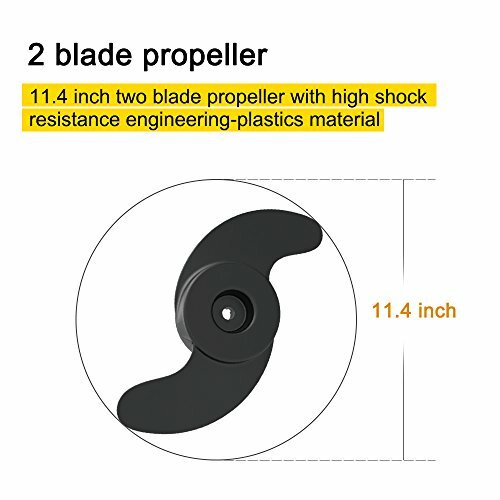 Prop Type/Size: 2 Blade Prop / 11.4 inch dia. The wireless remote control fits into the palm of your hand easily or can be attached around your neck or belt with a lanyard. 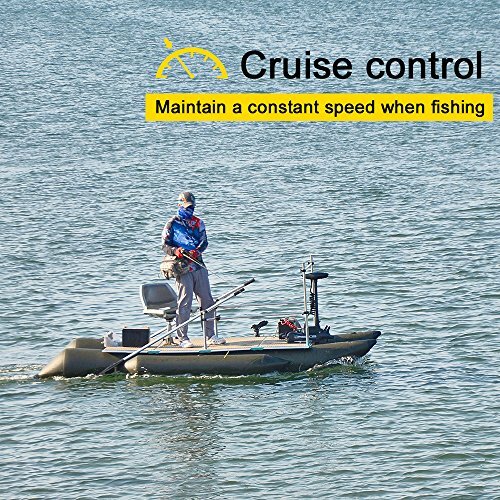 You can conveniently control the motor on the boat or shoreside with the farthest 164 feet distance, at the same time the wireless remote control can be recharged with a USB cable on power bank when necessary. 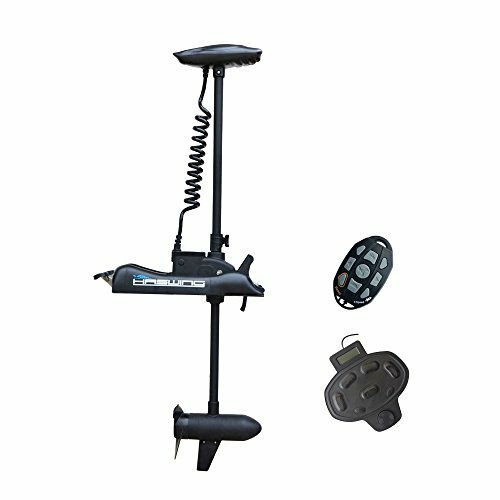 This item comes with a 14.7 feet cable wired foot control, can not only release your hands when fishing but also provide precise and easy operation. 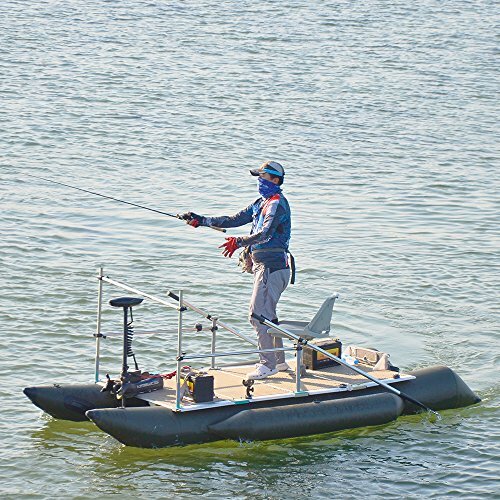 Haswing Cayman 24V 80LBS 60" Shaft Bow Mount Trolling Motor is designed and engineered to run quieter than ever before. It's so quite that the fish will never hear you coming. With variable speed will let you dial in your desired speed and provide more precise, smoother adjustments plus improved control. Moreover the variable speed is the lower power consumption of the motor, it can increase battery life quite a bit at any speed. 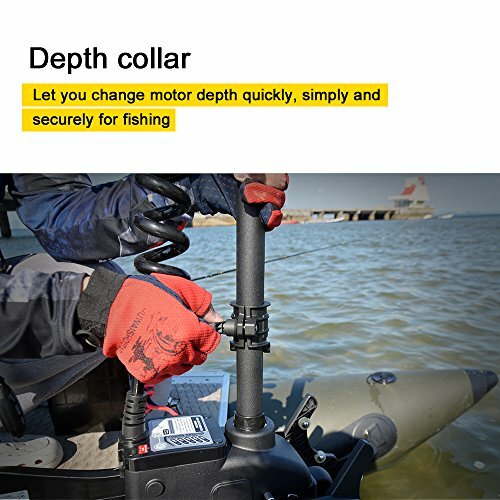 Also the trolling motor suitable for boats weighing up to 4000LBS.